If there was one thing F. Scott Fitzgerald was known for, it was his inclination to live in excess and drink accordingly. 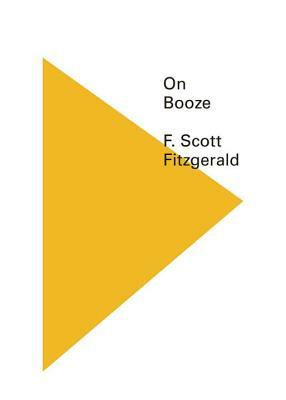 On Booze is a short and sweet collection of snippets of Fitzgerald's musings on his favorite subject--alcohol. First you take a drink, F. Scott Fitzgerald once noted, then the drink takes a drink, then the drink takes you. Fitzgerald wrote alcohol into almost every one of his stories. On Booze gathers debutantes and dandies, rowdy jazz musicians, lost children and ragtime riff-raff into a newly compiled collection taken from The Crack-Up, and other works never before published by New Directions. On Booze portrays The Jazz Age as Fitzgerald experienced it: roaring, rambunctious, and lush with quite a hangover.